When Luke first introduced me to podcasts ten years ago, I was instantly hooked and couldn’t understand why the rest of the world wasn’t binge listening right alongside me. I would occasionally bring up a favorite podcast in conversation, only to be met with blank stares. Then Serial converted a nation of skeptics into podcast enthusiasts, and now those blank stares have been replaced with eager conversations about our latest podcast finds. In 2018, the podcast world is reaching (or has maybe surpassed) the point of saturation. Like me, you likely have a podcast queue longer than you can keep up with. Somehow, though, I keep stumbling upon new favorites and making room for them in my listening life. True to form, I’m bringing some of these favorites to you today. Of these four podcasts, I’ve listened to one for over two years, one since its inception in 2017, and two are more recent discoveries. I wouldn’t be sharing them with you here today if I didn’t love them—I hope you might find something new to love, too! Jen Hatmaker has become a household name, and I have to be honest: she isn’t my favorite. I’ve enjoyed a couple of her books and like a lot of what she has to say, but her cynicism and snarkiness often rub me the wrong way. That said, I’m intrigued by her authentic, no-nonsense approach to faith and it’s made her one of the “Christian Influencers” I haven’t been able to quit. I begrudgingly began listening to her podcast when it was first released in the summer of 2017, and I’ve listened to every episode since. Though it’s hard for me to admit, For the Love has quickly become one of my favorite listens. 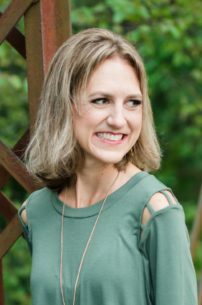 Why I Listen: Jen is an excellent interviewer who not only draws out the best from her guests, but also contributes her own insight and wisdom to the conversations. Yes, her sarcasm and harshness frequently rub me the wrong way, but I’m able to overlook this because the content is so strong. The podcast is expertly produced, and the Show Notes are fantastic, replete with complete transcripts, pictures, links, and even shareable images of noteworthy quotes from the show. I have loved the themed seasons; topics thus far have included Books (my favorite by far), Parenting, Faith, Friendship, Laughter, and more. Tune In If . . . You are looking for a faith-based podcast that takes an edgier approach to Christianity. Expect to hear guests that are different from the usual suspects making publicity rounds on all the other Christian shows. For the Love’s main website makes it easy to find episodes related to topics that interest you most. To say I have a complicated relationship with food, nutrition, and my body would be putting it lightly. Due to my history with an eating disorder, I try to be intentional about the nutrition-focused shows I listen to; anything with a strong diet/weight-loss message isn’t for me, but many of the Health At Every Size shows go too far in the other direction, glorifying Fat Acceptance while completely disregarding nutrition science. Paige Smathers is one of the few nutritionists who successfully balances science with a compassionate body-positive approach. She’s a big fan of nuance, and shows listeners how we too can take a nuanced approach to food. 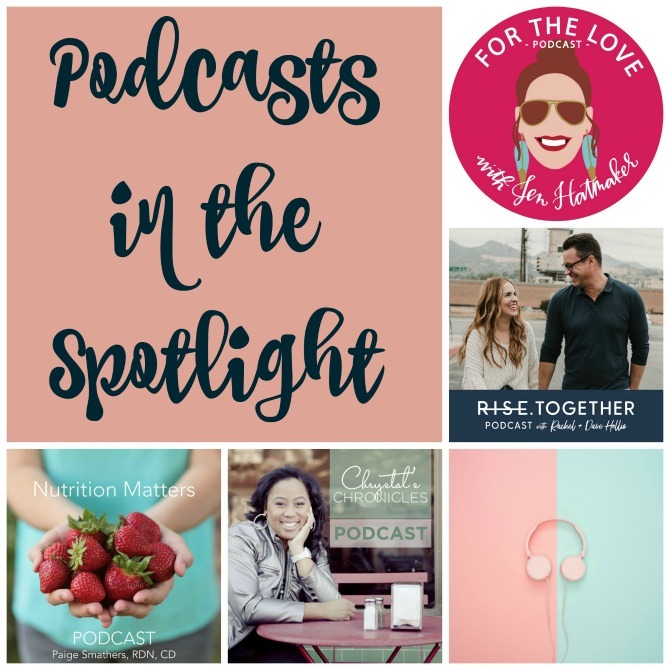 Why I Listen: Weekly episodes of Nutrition Matters help keep me balanced in a culture that holds dieting on a pedestal. Though I still struggle with food and my own body, this show has helped me make great strides toward developing a more positive, practical relationship towards food. At the very least, it has shown me how to apply these practices in my feeding of Charleston as I help him learn to be an intuitive eater who eats healthfully but doesn’t place rigid restrictions around what he eats. Tune In If . . . You are intrigued by topics such as intuitive eating and Health At Every Size. Great for listeners who are interested in the science behind nutrition, but aren’t onboard with diet culture. I wish every Registered Dietitian would listen to this show to learn how to add nuance to the approach they take with clients. 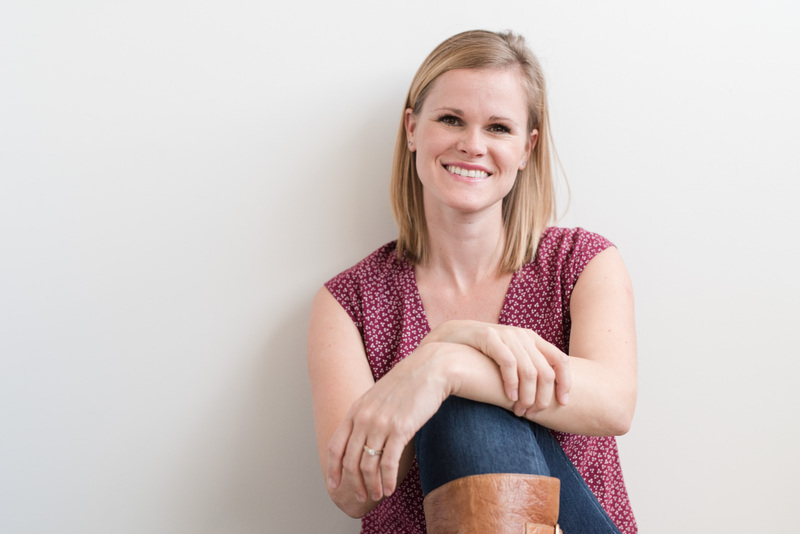 I’d spotted Rachel Hollis through her guest appearances on blogs and podcasts over the last few years, but my full introduction to Rachel and her work came through her recent bestselling book Girl, Wash Your Face! Since reading, I’ve followed Rachel more closely and was excited to see that she and her husband (recently named the CEO of her company) had started a relationship podcast. I admire Rachel and Dave’s marriage and partnership and trust them to speak into my own relationship. 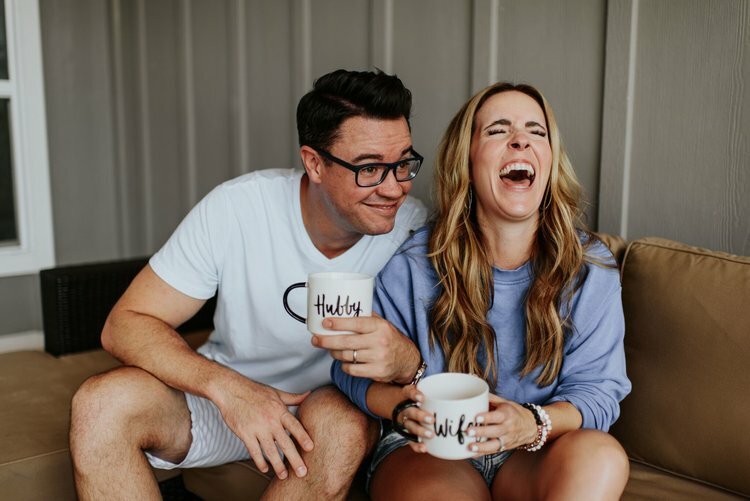 Why I Listen: Dave and Rachel are funny, down-to-earth, and truly head-over-heels for each other: exactly what I want from my marriage mentors. Their podcast is actionable and vulnerable; they aren’t afraid to discuss their past mistakes as well as taboo topics. I’ve forwarded nearly every episode on to Luke to listen, too; a friend and her husband enjoy listening to the show together on their weekly date nights. Tune In If . . . You want to take you relationship to the next level. Rachel and Dave strive to have an exceptional marriage, and they’ll inspire you to want that for yourself, too. 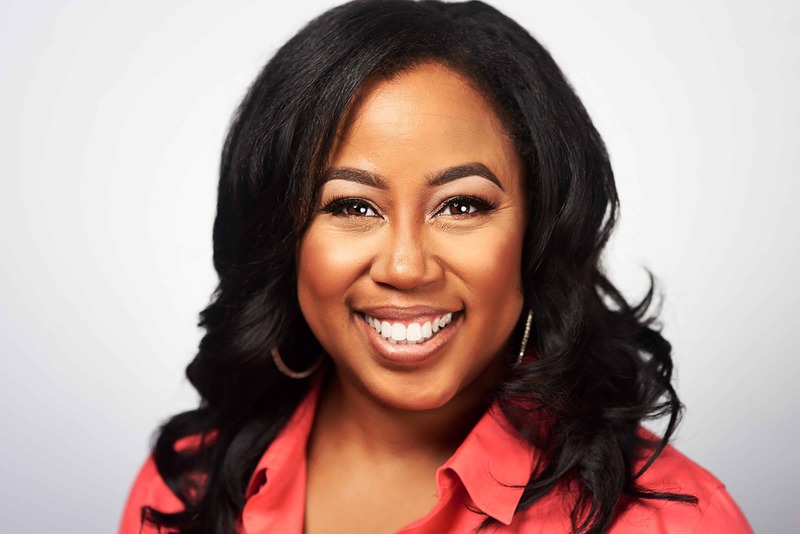 Why I Listen: Chrystal’s Biblical teaching is solid, but she goes beyond teaching in her podcast to discuss issues that are relevant to every woman. She is a big-picture thinker with a knack for breaking hard topics into understandable bits. I enjoy the balance of interviews and teaching-style shows that Chrystal does on her own. Tune In If . . . You are feeling a little lost in your journey and need some sisterly guidance from someone who’s been around the block and lived to tell about it. What are your favorite podcasts? Are you a regular listener to any of the four I shared today? Which episodes have stuck out to you?